Think you know the story of the Wicked Witch of the West and how the innocent Dorothy defeated her and her army of flying monkeys? Well, what it if we were to tell you that there were two sides to that story. Inspired by Gregory Maguire's 1995 novel, Wicked: The Life and Times of the Wicked Witch of the West, Wicked turns the story of The Wizard of Oz on its head. Filling in the gaps before and after the original, the multi-award winning musical leaves Dorothy safe in Kansas to focus on the adventures of two sorcery students at Shiz University – the beautiful and popular Glinda and thegreen-skinned and raven-haired Elphaba. As their lives become entwined, love interests are made, friendships are formed and – thanks to the allure of power and popularity – also broken, setting the scene for them to fulfill their destinies as Glinda The Good and theWicked Witch of the West. Dorothy, the Tin Man, Scarecrow and Cowardly Lion are also on hand to bring this spectacular show to a dramatic and surprising finale. 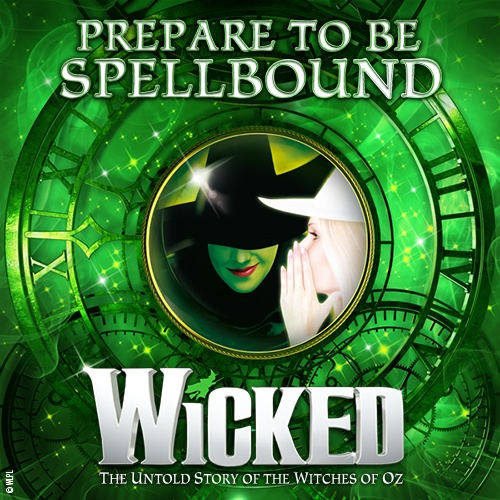 And with a little help from a fantastic score by Stephen Schwartz and a book by Winnie Holzman, it is easy to see why Wickedreceived the 2010 Olivier Award for Most Popular Show and the 2010 and 2011 Whatsonstage.com Award for Best West End Show.